*All photos by Mead Jackson. The Bloof readers, Cody, and the WC officers would like to send a giant thank you to everyone who came out to the Bloof Reading last Tuesday. 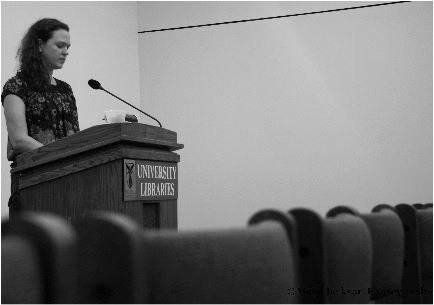 It was a great turnout and a fun fun reading. Also, thank you, from us officers, to the readers, who all did a splendid job. 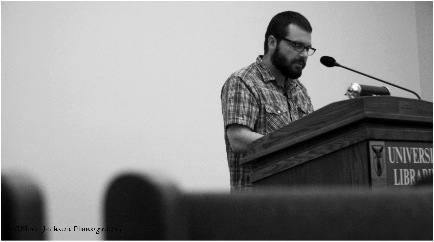 Shanna Compton was nice enough to interview Cody and I for the Bloof guest posts on the Best American Poetry Blog. Read it here. Thanks for writing and ruling. BSU Writers, be sure to send your submissions by tomorrow afternoon in order to have a shot to open for this reading. 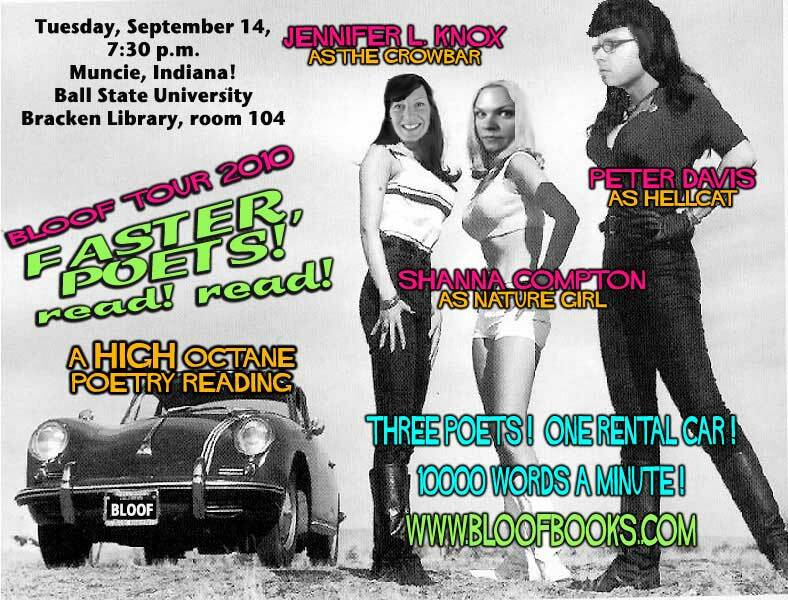 As part of their Bloof Books tour, Shanna Compton, Jennifer Knox and Peter Davis will be reading at Ball State University at 7:30 on September 14th in Bracken Library 104. This reading will be helped out by our organization. 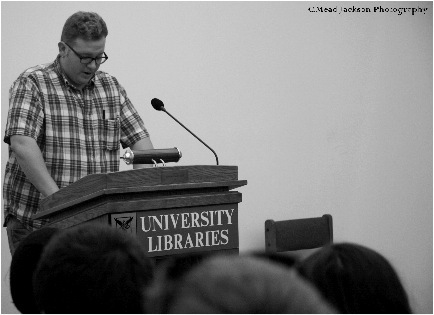 These writers have also allowed us one really cool opportunity: for a BSU writer to open for them (about five minutes). To make this fair, we have decided to let those three fabulous writers choose the BSU writer. This is how it will work: send us a poem/short fiction piece or two and we’ll forward it to them. They will choose one writer to read for them. Simple. Send submissions to writers@bsu.edu. Be sure to check out their writing and save your money, you’re gonna want their books!